Solider, singer, storyteller. 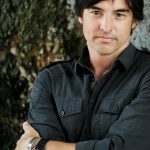 Meet your 29th Annual NTDA Convention Keynote Presenter Keni Thomas of Black Hawk Down fame. The 29th Annual NTDA Convention will be held Oct. 9–11, 2019, at The Breakers in Palm Beach, FL. Registration and housing will open in April 2019. In 1993, then Staff Sergeant Thomas was deployed to Mogadishu Somalia with the 3rd Ranger Battalion, part of an elite special ops group called Task Force Ranger. Their mission was to find and capture terrorist and warlord, Mohammed Farrah Aidid. Thomas and his fellow rangers distinguished themselves in an 18-hour firefight that was later recounted in the book and film, Black Hawk Down. Tragically, 18 Americans were killed and 73 wounded during the Battle of Mogadishu, the deadliest urban combat American soldiers engaged in since World War II. Thomas has since received the Bronze Star for Valor. Thomas will captivate you with his story of sacrifice and heroism, retelling how he and fellow rangers fought desperately to save as many of their fellow soldiers as possible. Thomas will inspire you to strive for greatness with the message of: “Train as you fight. Fight as you train.” He will also instruct you how to “lead the way” in impacting those around you. After Mogadishu, Staff Sergeant Thomas volunteered for one more enlistment in the Army. He became an assistant team leader for a six-man ranger reconnaissance team and earned his master parachutist rating with over 400 military free-fall jumps. After his soldiering days were over, Thomas headed to Nashville to pursue his music career. He quickly established himself as an award-winning recording artist and songwriter and has made several appearances at the Grand Ole Opry. Thomas and his band, Cornbread, were featured in the movie Sweet Home Alabama, starring Reese Witherspoon, and he portrayed himself on the TV show, Louie, which took place in a fictionalized USO visit to Afghanistan. Thomas was also the military advisor for the Mel Gibson movie, We Were Soldiers, just as he was for the movie Black Hawk Down. He has also been a guest on numerous national news programs as a military analyst. Despite all this, probably what Thomas is most proud of is his appointment as national spokesman for the Special Operations Warrior Foundation that provides college educations to the children of special operations personnel killed in combat. Thomas’ music can be heard on country stations throughout the U.S. and Canada. Check out one of Thomas’ songs, “Hold The Line,” available on YouTube. You can also follow Thomas on Facebook. Thomas will be available to sign autographs during the NTDA Exhibition on Thursday, Oct. 10, 2019 during the Convention. Dealer members who register by Friday Aug. 30, 2019 will receive a copy of Thomas’ Book, Get It On, about heroism and leadership.